Please take some time and browse our course information! If at anytime you would like to register for a class please click any one of our registration links and complete the form! Many frequently asked questions are answered under the contact us link if not send us a message and we will get right back to you! We are also happy to offer CPR at our location or yours for businesses and individuals by appointment. Click here to learn more about our CPR programs. Are you interested in a career in the medical field? Do you like helping people? Do you want a new career that you can be trained for in a short period of time? A CNA is a great place to start. The training to become a CNA doesn't take months. You can complete our course in as a little as 3 weeks. Being a CNA is a rewarding job that allows you to have first hand interaction with patients and their families. Becoming a CNA gives you a strong foundation in patient care if you want to take your training to the next level and pursue a nursing career. CLICK HERE TO LEARN MORE ABOUT BECOMING A CNA! We offer smaller class sizes that allow us to personalize the class to better suit your individual needs. Our class schedules are condensed to allow you to complete your training in a short period of time and enter the work field as quickly as possible. Our facility and clinical sites are conveniently located within city limits.The instructors have experience working the floor as CNA's and they are able to relate to the demands of the job and offer up personal experiences as well. This course provides clinical instruction and practice of basic nursing skills required of nursing assistants employed in skilled nursing facilities and extended care facilities. The course emphasizes care of the older adult client, assistance with the activities of daily living, bathing, dressing, exercise movement, eating, eliminating safety measures, cardiopulmonary resuscitation and rehabilitation techniques. Meets State Department of Health Services requirements for eligibility to take the Nursing Assistant Certification examination. CNA Certification in less time!! Our typical pre-licensing course takes 3 weeks from start to finish. Once the student completes the course work and passes a mock test they will be scheduled to take the CNA certification exam. Our course model is the fastest start to finish course of its kind that we are aware of. Most other course’s take any where from at least 4 weeks to 6 months and could require pre-requisite courses that could make the total time even longer. Since our course is only 3 weeks long, it becomes much more cost efficient. By coming to class fewer times the student saves hundreds in fuel and childcare! 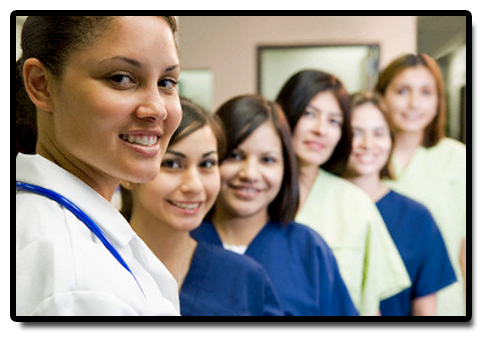 All Heart Nurse Aide Training Center gets you working sooner! By getting your pre-licensing completion certificate sooner you can work full time while you are waiting to test! Our tuition includes all required items that you will need to pass this course. 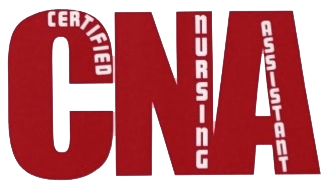 All Heart Nurse’s Aid Training Center LLC only teaches the State of Indiana CNA curriculum. Many schools, career centers, and community colleges will require students to take pre-requisite classes prior to starting the CNA Curriculum. As long as you meet the State guidelines to be a CNA you will be able to attend our CNA courses! There is No academic or entry testing required to enroll in our program!! Our pass rate is one of the Highest in the State!! Students that take our course will pass the state exam or they can take advantage of our free State Exam Pass Guarantee!! What is your is Why Nov 13th ..
What would you do? Mr Garcia has had no choice but to put his wife of 40 years in the care of a nursing facility. He loves her dearly and visits her for a few hours every day. The problem ..
Westfield What is your Why ..
March 28th what is your why ..